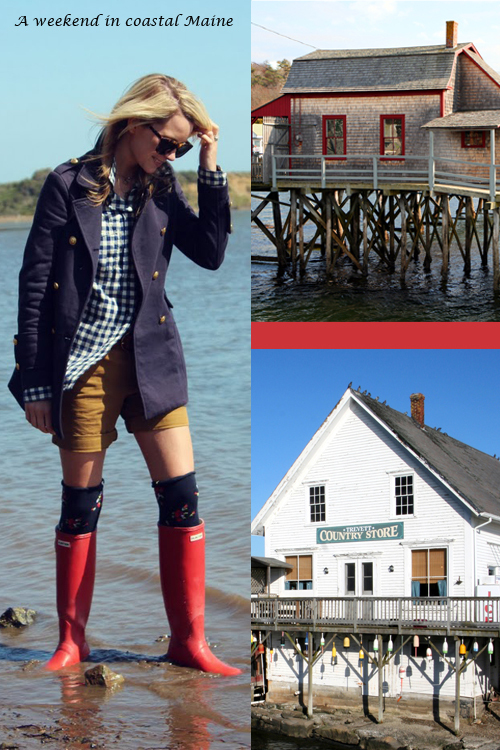 As you head out to spend a weekend on the coast of the Atlantic, don't forget a pair of waterproof shoes to keep dry. The knee-high socks and shorts give this outfit a laid back feel, while the button-up, checkered shirt and jacket keep it perfectly casual for a walk around town. Thanks for the encouragement Momma!